OverviewBionic Commando follows hero Rad Spencer as he fights through enemy territory to rescue fellow commando, Super Joe. 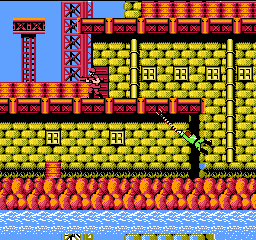 Though similar to other platformers of the time, Bionic Commando puts a huge twist by not allowing Rad to jump; he can only get around by using his bionic arm. Now you can add videos, screenshots, or other images (cover scans, disc scans, etc.) 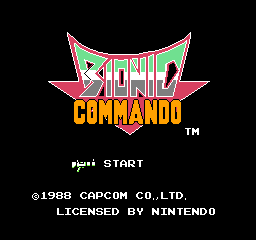 for Bionic Commando (Europe) to Emuparadise. Do it now!